The Christmas Rush is one of the most popular races in Western Washington. This year it attracted over 1000 runners. The race is popular among Silver Striders too. They comprised over 30% percent of the field. The average turnout for runners over 50 at races is 16%. Being part of the Grand Prix Series gives each race on the schedule a nice boost in the number of entrants over 50 years of age. It was a cold morning, but runners expected cold weather, so it didn’t affect their enthusiasm. The companion event, a 10k, started at 9:50 and the Series event started at 10:00 am. The start was a little crowded but runners seemed to be lined up properly and the start looked fairly smooth. The course is quite flat and the times were fast. 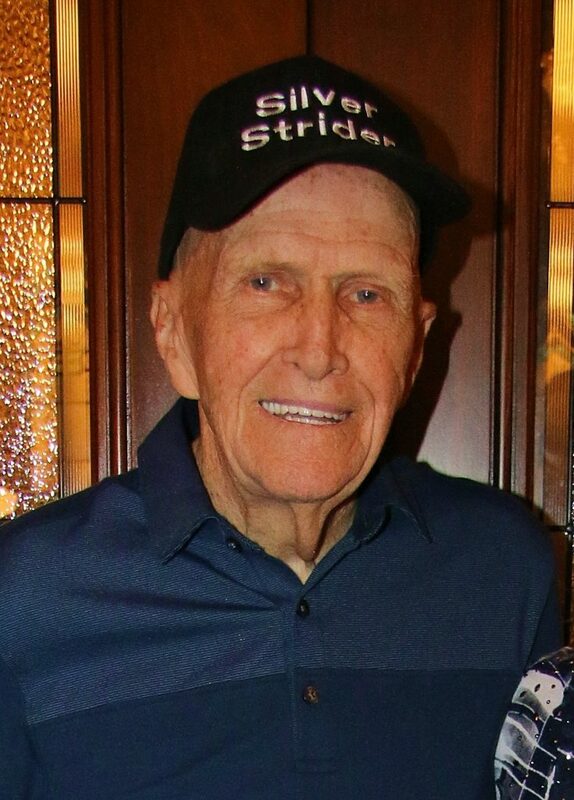 The first Silver Strider to cross the finish was Mitch Parker, age 58, as he dominated with a sizzling 19:36. The first female Silver Strider was a dead heat between Linda McCandless, age 51, and Heather Nugent, age 52, both timed in 25:18. The big news at the Rush was Ray Arrington making the Century Club. Ray is an avid supporter of the Grand Prix Series, is now the 16th member of this exclusive group. Ray is a welcome addition to the Century Club. Congratulations Ray! Congratulations to Dave Anderson who became the 25th Grand Prix Series finisher for the 2018-19 Series. To be a Grand Prix Series finisher you need to complete 8 of the races on the 28 race schedule. The 2019 series will begin in January at the Resolution Run 5k. All finishers will receive a trophy and gift certificate. Once again the Men’s 60-64 division furnished the major fireworks. This time it was Mark Drangsholt 61, and Dave Sherman 64, battling to the wire with Mark prevailing by 4 seconds. In the Women’s 60-64 age division, Charlea Sherman, also facing strong competition, won by 20 seconds. A host of canopies with products and free samples lined the finish area. Colorful Christmas attire worn by many participants, added to the holiday atmosphere. Free backpacks, filled with gifts, were distributed to all the kids by Kent Bowl sponsor Dennis “Santa” Zaborac, and “Elf” Sandra Madden. Results were posted promptly and awards presented in a timely fashion. Plaques were awarded to first place finishers with ribbons given 2nd through 5th. 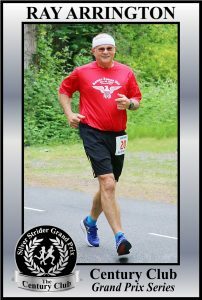 Race Director, Mark Hendrickson has offered to host the inaugural Silver Strider 5k Championship for 2019 at the Kent Cornucopia 5k in July. An announcement with more details will be coming soon. “The shirt quilt idea came from my youngest son. His girlfriend made him a quilt out of his running shirts and I thought that would be fun to have. I wanted to use tech shirts to make a lighter quilt to wear after a race to warm down. Little did I know how hard it is to sew on that stretchy material! Since I had “broken” my wife’s sewing machine, she didn’t want me to use it anymore. I found a portable one at a garage sale for $20 so I bought it and fixed it up so it would work. My sister-in-law is an avid quilter and helped me with the machine and with the plan, but wouldn’t do any of the work! She wanted me to learn…Anyway, I picked out shirts I wanted from my stash and used 10 of the Christmas Rush shirts to make the top 2 rows and 10 others to make the bottom 2 rows. I put in a Seahawks shirt and a BSA shirt just to show my favorite organizations. Saturday was my 21st Christmas Rush, so I still have plenty of shirts!